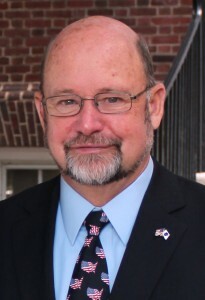 Senator Dave Lawson worked as a police officer in Milford, Delaware for four years before joining the Delaware State Police in 1973. Before retiring in 1992, Dave served as a Delaware State Police Range Instructor and as the Lieutenant of their Special Operations Response Team. He later opened Shooter’s Choice, an indoor shooting range in Cheswold, which he sold in 2012. As a member of the United States Air Force, Dave moved to Delaware in 1969, serving a tour of duty in Vietnam. He became a member of the Delaware State Senate in 2010, beating out a long-time incumbent. Senator Lawson is currently a member of the Senate Adult and Juvenile Corrections, Community/County Affairs, Finance, Public Safety and Veterans Affairs. He is proud to have received many awards such as the 2013 Kent County Elected Official of the Year Award, 2015 Delaware Veterans’ Stand Down Award, and the Division for the Visually Impaired 2015 Legislative Leadership Partner of the Year Award. When he isn’t in a meeting or sitting on the Senate floor, he enjoys spending time with his wife, children, and grandchildren, hunting, and working on his farm. Senator Lawson was born in Johnstown, PA on October 29, 1946 as the tenth of eleven children.